"An authentic Jamaican curry powder without hot pepper, which should be added separately to any dish. You can also use powdered versions of any of the ingredients, but for better flavor use whole seed. For authentic Jamaican flavor, you will usually add Scotch Bonnet or Habanero peppers to your recipes. However, if you want to add heat directly to the powder, add 2-4 tablespoons cayenne powder to the mix, depending on your taste." Combine the coriander seeds, cumin seeds, mustard seeds, anise seeds, fenugreek seeds, and allspice berries in a skillet. Toast over medium heat until the color of the spices slightly darkens, and the spices are very fragrant, about 10 minutes. Remove the spices from the skillet, and allow to cool to room temperature. Grind the spices with the turmeric in a spice grinder. Store in an airtight container at room temperature. 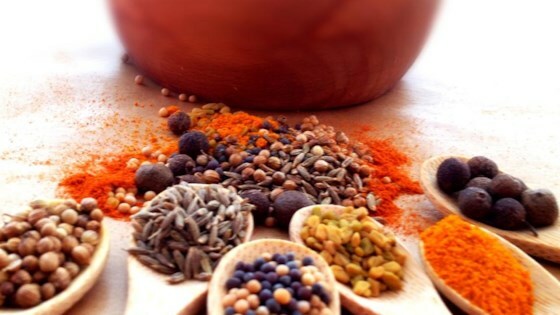 Awesome curry powder recipe. I no longer purchase curry powder. My only problem is that my mother always takes my entire stash whenever she comes over.